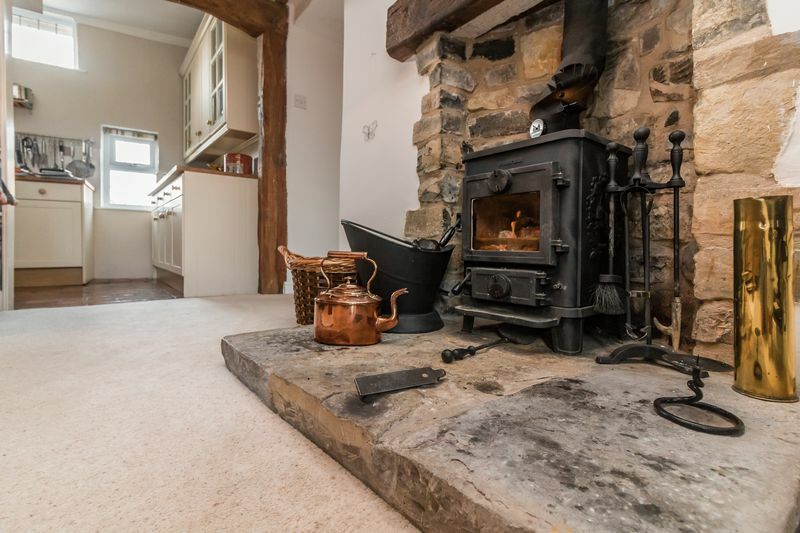 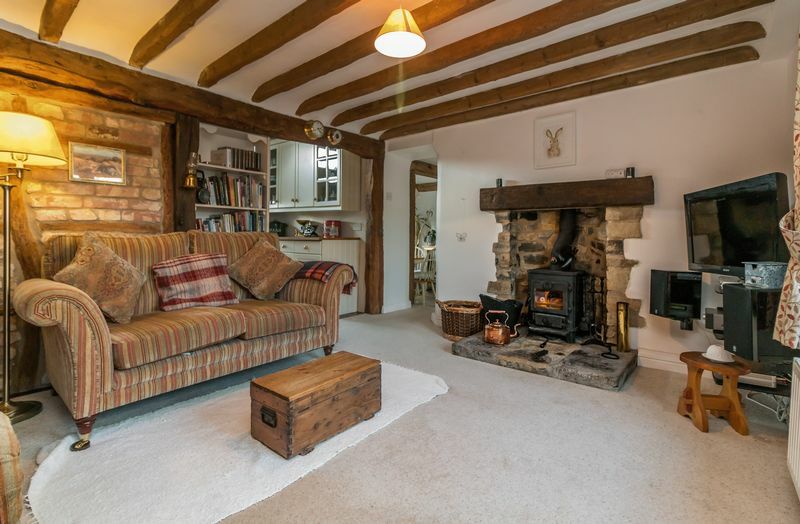 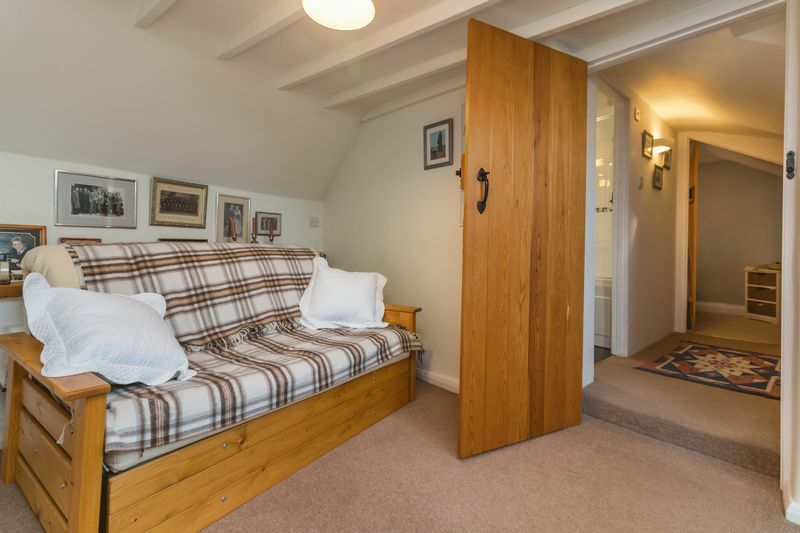 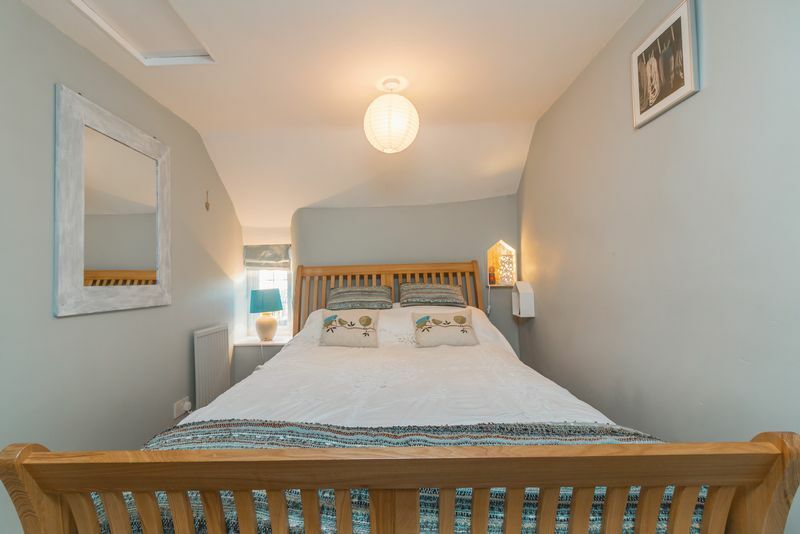 This charming character cottage has undergone a tasteful refurbishment throughout whilst still retaining many of its wonderful period features. 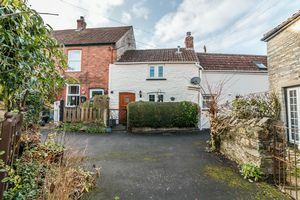 The property is nestled at the very heart of this most desirable Polden village and enjoys the added benefit of off road parking and single garage. 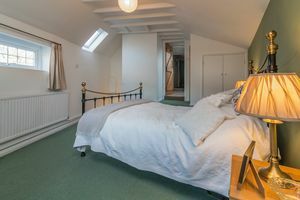 The cottage boasts an abundance of character features throughout and has recently undergone a tasteful refurbishment, creating a perfect blend of old and new. Upon entering the cottage from the front elevation through a stable door, you step into a wonderfully spacious principal sitting room, featuring exposed stone walls and overhead ceiling beams together with an inset wood burning stove mounted upon a stone hearth. 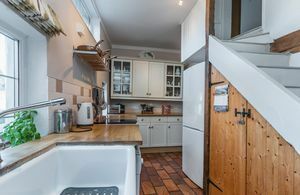 An opening leads through to the country style kitchen, fitted with a comprehensive range of shaker style units with wood block surfaces over. 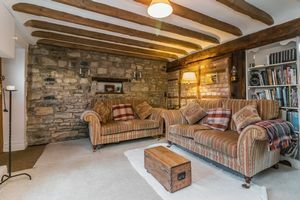 The dining/breakfast room has space for a table and with further beams over, makes for a cosy additional reception room. A dual use cloakroom/utility has a low level WC and worktop surfaces with space under for automatic appliances. From the inner hallway there are stairs rising to the first floor and a doorway and step down into the garage, complete with power and lighting. 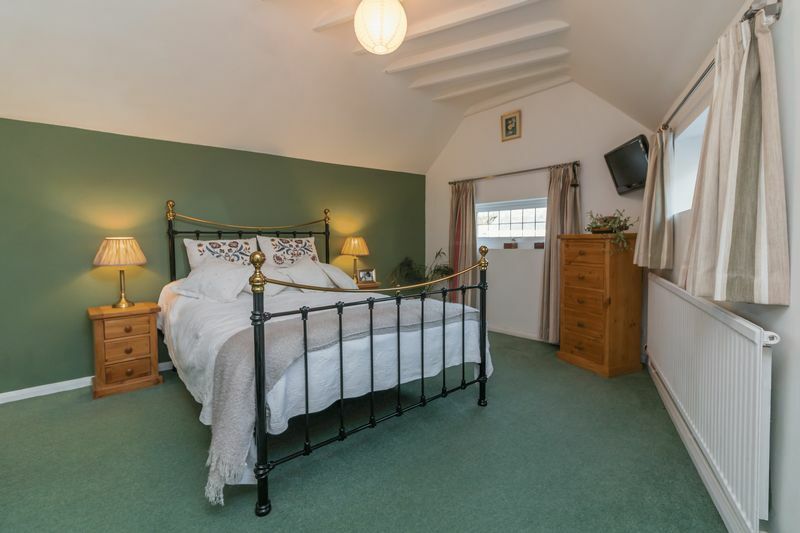 Three suitable double bedrooms are positioned on the first floor, the dual aspect master in particular being of generous size, having fitted wardrobes and taking in far reaching views beyond roof tops towards the Mendip Hill range in the distance. 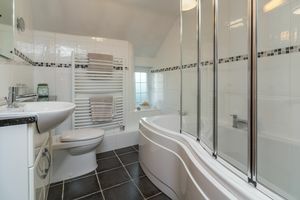 The internal accommodation is completed by a contemporary white suite bathroom on the first floor with shaped bath and shower over, complemented by full wall and floor tiling. 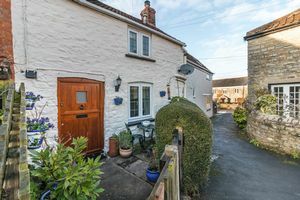 A small courtyard garden lies to the front of the cottage, taking in a south easterly aspect and enjoying sunshine right through to the mid-afternoon. The garden is fully enclosed and provides a pleasant seating spot with enough space for potted plants and a table and chairs. 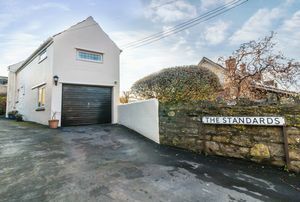 Two parking spaces are located immediately to the side of the property on the approach to a single garage. 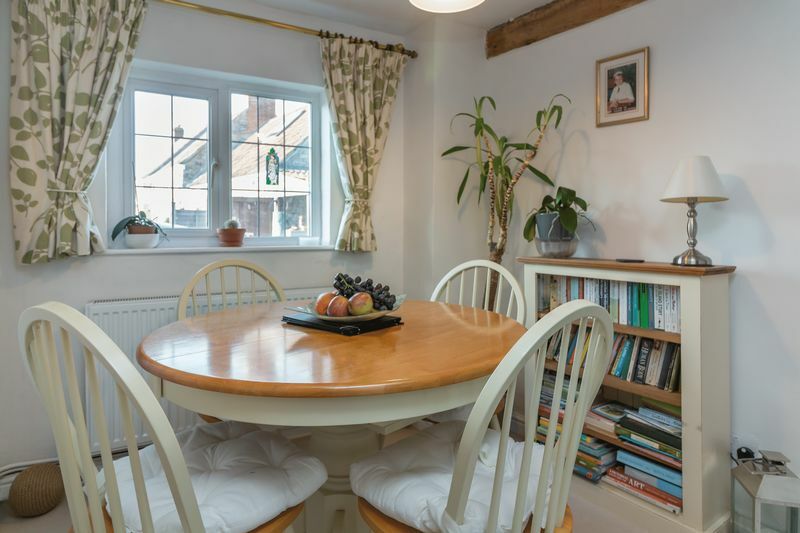 The property is situated within the popular Polden Hill village of Catcott which has local amenities including primary school, church and two public houses. 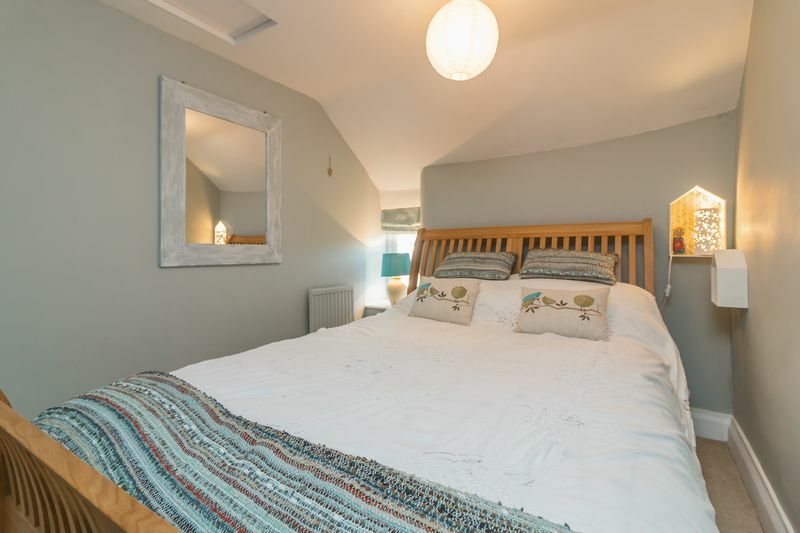 The thriving town of Street is 6.5 miles and offers a good range of facilities including Strode College, Strode Theatre, both indoor and open air swimming pools and complex of shopping outlets in Clarks Village. 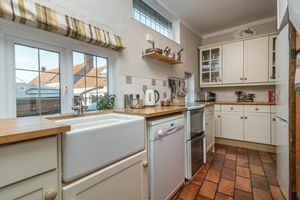 Street is also the home of the renowned Millfield Senior School. 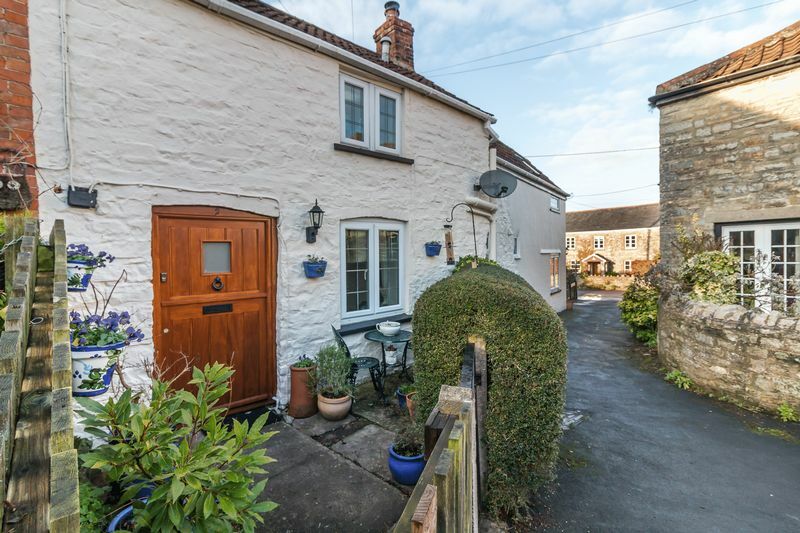 Catcott is 29 miles from Bristol International Airport, 37 miles from the City of Bristol and 22 miles from the County Town of Taunton. 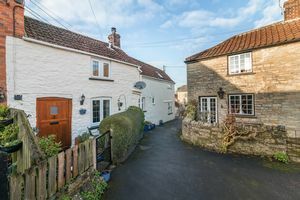 From Street take the A39 towards Bridgwater, passing through the villages of Walton and Ashcott. After approximately 5 miles turn right signposted to Catcott. On reaching the crossroads, King William Inn opposite, proceed straight ahead into King William Road. At the 'T' junction (bottom of the hill), turn left into Manor Road and upon reaching the Memorial turn right. Take the next right turning into Steel Lane where the property will soon be identified on the right hand side.